It is not unusual to encounter a business that requires financial protection that life insurance provides against death, either theirs or someone else’s within the company (i.e.Key Man Insurance) while another person needs a tax-sheltered investment vehicle. Split Dollar Life Insurance can provide for the needs of both parties through ONE Life Insurance policy! Many businesses have come to appreciate the versatility of Life Insurance products in allowing them to use one policy to meet a dual need. In these types of arrangements, one party typically owns and pays for a level death benefit portion of the policy and the other party owns and funds the remaining interests in the policy. 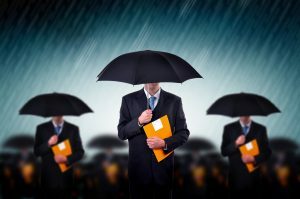 One example of Split Dollar Life Insurance being used effectively is when an employer needs Key Person Insurance on an executive and the executive is in need of a tax-sheltered investment vehicle. The employer and the executive could enter into a Split Dollar arrangement where the employer pays for and owns a level death benefit on the life of the executive and the executive pays for, invests in and owns the cash surrender value component of the policy. Universal Life Insurance or Whole Life Insurance could be used in this example. The beneficiary of the level death benefit is the employer, while the beneficiary of the cash value is designated by the executive to whomever he chooses – spouse, children, etc. Health Risk always advised that the tax implications on Split Dollar Life Insurance or any other type of business insurance program must always be taken into consideration during the design of the program to ensure its long-term effectiveness. Let Health Risk assist you in making Split Dollar Life Insurance part of your business planning! Please contact Health Risk should you have any specific questions regarding Split Dollar Life Insurance or if you wish to receive a quotation.